Is your enterprise about to undergo a digital transformation? This certainly seems like the right time. Studies have found that undergoing a digital transformation can improve your enterprise’s productivity, collaboration, and innovation among your employees. Additionally, it can improve your prestige in the modern marketplace, streamline your business processes, consolidate your corporate assets, and improve your bottom line overall. The traditional on-premises workplace was tied to a brick-and-mortar establishment and fixed servers, but the post-digital transformation enterprise is untethered from such restraints. Employees can work from anywhere at any time, accessing the applications, cloud data banks and mobile devices that now make up your flexible workplace. No wonder it’s become an obsession for enterprises of every size and in every industry. The challenge, however, is that a digital transformation can be a labor and resource-intensive process that can create serious deficiencies in your business processes if implemented improperly. Of course, any deficiency can prove a detriment to your bottom line. So, what can reduce the strain of your enterprise’s digital transformation? What can actually make the process simple, enlightening, and ultimately profitable? The workspace of a digitally transformed enterprise is (unsurprisingly) massive, but the full scale of what it could be is often hard to fully appreciate. A digital enterprise can be theoretically infinite, sprawling across diverse applications and cloud systems. In addition, digitally transformed enterprises often need to call upon the services of third-party vendors and contractors in order to facilitate their business processes. With so many portals, users, and applications to monitor both inside and outside the enterprise, it’s essential that your enterprise monitors and regulates who is doing what, where and when without becoming overwhelmed by the data. You need to know how customers are interacting with your interface, how third parties are using your corporate assets and how databases are utilized in day-to-day business processes. That’s where identity steps in. 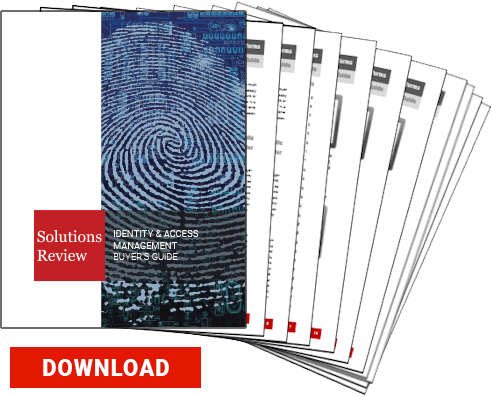 Identity services keep track of users throughout the enterprise’s IT environment—even after a digital transformation—centralizing those identities under a single network umbrella. In other words, it creates a foundation on which users can be checked for appropriate access and credentials and on which the enterprise can scale in a stable and sensible fashion. It allows enterprises to detect business process flaws as you see who needs what assets and who lacks what permissions, allowing you to make adjustments that save time and resources. Furthermore, identity allows your enterprise to open itself up to more customers and more partners by allowing for more personalized experiences across a wider IT environment. Each identity can be given individual preferences, facilitating better user experiences and potentially bringing in more profits. On the employee side, identity can centralize the sign-on procedures from across your enterprise, allowing greater control over their credentials and access via single sign-on and saving them time and stress. Identity can even facilitate the integration of new applications and cloud platforms as your business priorities and processes change and grow, fostering more growth and more gain. After a digital transformation, your enterprise can scale to heights previously inaccessible to you. Identity ensures that you can climb to those heights responsibly and profitably. The digitally transformed enterprise has to face the challenge of onboarding and offboarding in an IT environment, especially if they’re scaling to greater heights than ever before. Imagine going through each incoming employee, evaluating what permissions each will need to perform their functions, and then making individuals adjustments to their access as their role in the company evolves. Sounds tedious and time-consuming, doesn’t it? Identity helps to coordinate those incoming users, giving them digital roles that can carry pre-selected permissions and credentials. They can also be switched with new roles as the employee moves through your enterprise, and they can be easily terminated when the employee leaves. Additionally, identity prevents access creep—the gradual accumulation of dangerous extraneous permissions by users in your enterprise—by allowing for close monitoring of access and allowing for quick retraction of permissions. This is especially important in a digitally transformed enterprise which will have, by default, much more open assets and databases that could cause colossal damage in the event of an insider breach. Digital transformation means that user permissions need to be tightly controlled more than ever. Your enterprise must be able to maintain security as well as ensure that business processes are smoothly managed and conducted. Cloud adoption and digital transformation aren’t quite the same, but they’re certainly part of the same whole or are parallels of each other. Cloud adoption means the integration of your business processes across endpoint devices, operating systems, applications and resources. It enables access to endpoints outside the traditional enterprise structures and across disparate locations to corporate assets. If that doesn’t sound like digital transformation, we don’t know what does. Identity can help your enterprise handle transitioning to the cloud through its centralization mechanisms and by ensuring regulatory compliance through its monitoring capabilities. You can think of identity as the centerpoint of your digital transformation—the archstone that holds the whole process together. 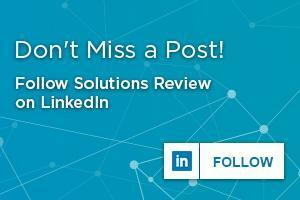 It keeps your bottom line strong as you enter the modern age of business. We’re sure these ideas and more will be explored in-depth at Identiverse June 24 to 27 in Boston, MA. We hope you’ll take this opportunity to join us there and learn more about what identity can do for your company! You can use our promotional code REGISTERNOW18 when you register to save $250. Get ahead of the identity game! You should register here today! Identity’s Competitive Advantage—Do You Know What It Can Do For You?